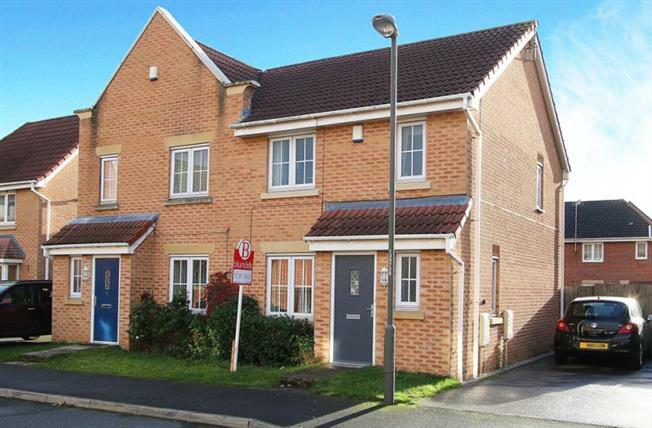 3 Bedroom Semi Detached House For Sale in Chesterfield for Offers in excess of £160,000. Blundells are pleased to present this well presented three bedroom semi-detached home. Perfect for the first time buyer or growing family. Situated in the heart of the spire estate the property is a stones throw from local amenities and short walk from Chesterfield town centre. Downstairs is a well presented living room and to the rear of the property is a kitchen diner. The garden is perfect for a youung family and is complete with off road parking. Upstairs there are two good double bedrooms and a signle and a white three piece suite in the family bathroom. The property is neutrally decorated thoughout.